I don’t believe any of us sets out to experience drama on a daily basis. Many times it just happens. But you can be prepared and eliminate it before it starts. Here’s an excerpt from Drama Free that will help you — and someone you know — dial down the drama from morning till night. Listen more, talk less (James 1:19). 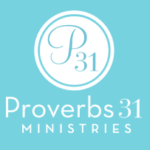 Guard your mouth (Proverbs 13:3; 21:23). Don’t speak – or electronically post – quickly. There is always wisdom in waiting (Proverbs 29:20). Address issues wisely, don’t avoid (Matthew 18:15). Choose your friends carefully (Proverbs 12:26; 20:19). Don’t listen to – or participate in – gossip (Proverbs 16:28; 21:23). Part ways with a rude or brash person (Proverbs 22:10). Dismiss an offense, don’t dwell on it (Proverbs 19:11). Fear God, not people (Proverbs 29:25). Stay away from those who anger easily (Proverbs 22:24). Don’t play with what can be addictive (Proverbs 23:29-35). Stay out of a quarrel that isn’t yours (Proverbs 26:17). Don’t jump to conclusions (Proverbs 25:8). Don’t sink to someone else’s low (Proverbs 26:4). Don’t brag, it may backfire (Proverbs 27:1-2). Do you know someone who needs this list as much as you? Please pass it along to her or share it on your social media channels. 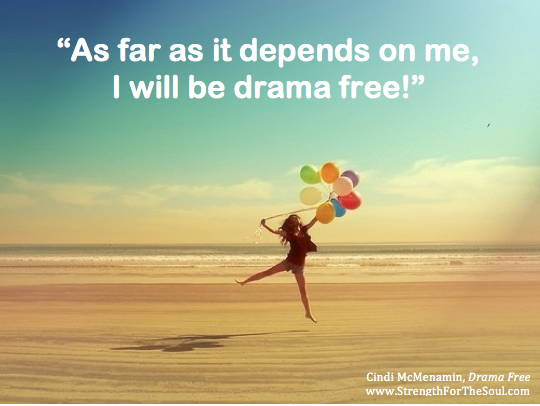 Thanks for helping others live drama free. Can we really "pray without ceasing"? on 15 Ways to Dial Down the Drama in Your Life. I wanted to print this but can’t find the i-con to do it by.